When French collector Thomas Sauvin discovered a forgotten trove of photos, he learned about a very strange old tradition, now lost in China’s rise. As a collector and editor for the UK-based Archive of Modern Conflict, Thomas Sauvin�s pursuit of intriguing images often�takes him to odd places, but when he discovered a trove of forgotten images depicting a bygone�wedding ritual, even he was surprised. Confronted with this vast stack of images, Sauvin started to look for unifying qualities within the images. He found a picture of Chinese newlyweds smoking a handmade wedding bong, a gesture � apparently � of good luck for newlyweds. Struck by the incongruity, he revisited his growing cache of negatives. The photos depict this forgotten rite, where the bride would light a cigarette for every man invited as a token of appreciation and smokes with her groom. Until Death Do Us Part, Sauvin�s new photobook, is his homage to this convention that like so much else, has been swept away by China�s rapid ascendancy. The book, published by Chinese photobook publisher Jiazazhi, is packaged in an original Shuangxi (a popular Chinese brand) cigarette pack and shrunk to size. The photos are joyous but tinged with a sense of loss, the same sense of nostalgia that has taken root in Chinese culture in recent years. 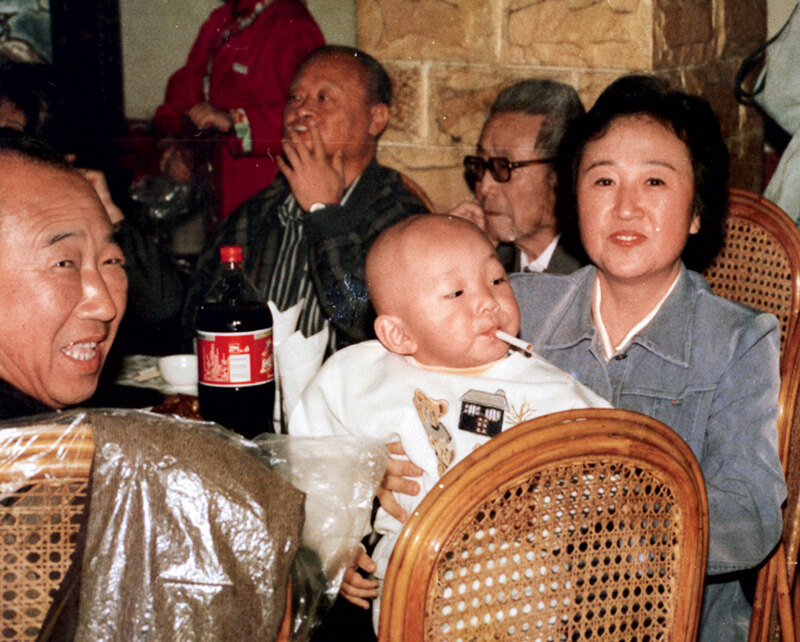 While increased regulation around smoking makes for a healthier population, rituals that were once commonplace vanish in the face of China�s quest for modernisation. His collection captures the period between the 1980s and 1990s, when China hadn�t morphed into the global superpower it is today. This transitional period blends well with his attitude to the image � his interest in the negative stems from its status as, what he terms the �intermediary� between camera and album. �It was not until I looked at these images for about three years that I started understanding that it was really covering the history of popular photography in China which started in 1985 to 2005,� Sauvin says.